Janesville will celebrate the official opening of its festival street, a two-block reconstructed stretch of River Street, on Friday. 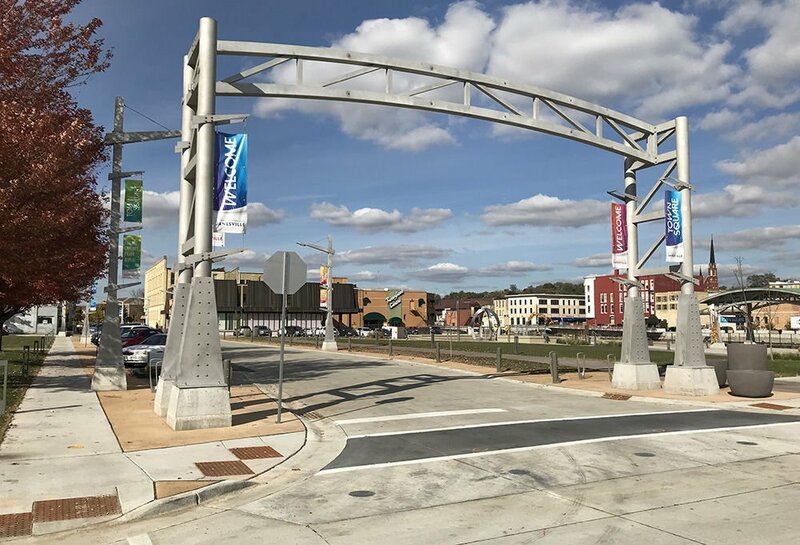 This revamped two-block section of River Street in downtown Janesville will reopen officially Friday with a celebration and ceremony. It was a summer of ribbon-cuttings in downtown Janesville, and the city will squeeze in one more before the weather turns frigid. 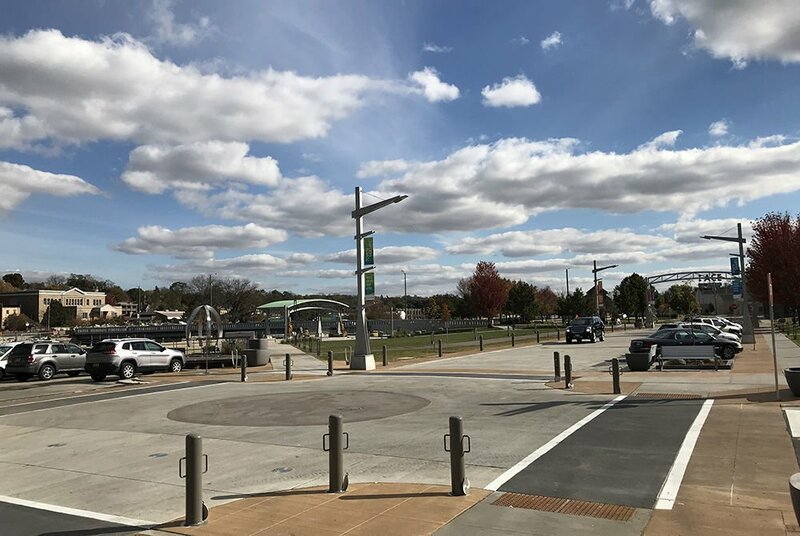 On Friday, Janesville will celebrate the official opening of its festival street, a two-block reconstructed stretch of River Street that abuts the ARISE Town Square. The event runs from 4 to 7 p.m. with a brief ceremony scheduled for 4:30 p.m.
Food trucks will be on site during the event, and live music will start at 5 p.m. Gray Brewing Company will have a vendor stand with alcoholic and nonalcoholic options. A bounce house, balloon animals, pumpkin painting and other kids activities will be available to keep the event family-friendly, city management information specialist Molly Nolte said. The city has referred to the two blocks as its festival street, but it will remain known as River Street. It connects Milwaukee and Court streets, and it features angled parking spaces and electrical outlets. It will be open to vehicle traffic when not being used for events. Otherwise, removable poles known as bollards can block it off and make it accessible to pedestrians only, Nolte said. The street is designed for community events that cater to foot traffic. Nolte wasn’t sure if other recurring downtown events, such as the Janesville Farmers Market or summer concerts at Lower Courthouse Park, could eventually relocate. A new pavilion in the adjacent town square would make the area conducive to live music and other performances. That pavilion and the interactive water feature had a joint grand opening ceremony last month. The water feature recently shut off its water for the season, but it will continue to light up and play music. That ceremony followed one for the downtown fitness court in June. Court Street also converted to two-way traffic over the summer, albeit with little fanfare. Another ceremony could come soon for the privately restored Doty Mill Alley, which opens onto River Street. And the city likely will celebrate the new Milwaukee Street bridge when it opens next summer, Nolte said. But for this week, all eyes are on River Street.